The Hale name has been synonymous with quality construction for over 39 years. It’s a name you can depend on. Hale Construction, Inc. was founded in 1979 by Ed Hale. The company is located in Morristown, Tennessee, not far from the Great Smoky Mountains. Most of our work is within a 75-mile radius of Morristown, the hub of East Tennessee’s bustling industrial community. but we have and are willing to work in surrounding states. With Hale Construction, Inc. you not only get quality work, you get safe workers. Our crews have one of the best safety records in the industry and we’re very proud of it. We have an award winning safety program that stands for itself. Hale Construction has been awarded the Associated General Contractors Construction Safety Award consecutively from 2004~2016. We pride ourselves in our company’s ability to put safety first and still provide the best to our clients. We have one of the lowest workers comp mod rates in the industry at .78. 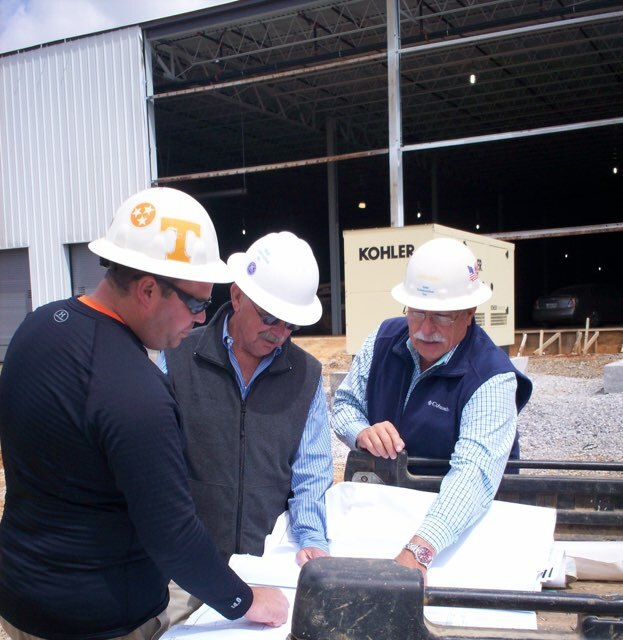 Hale Construction has completed projects for some of East Tennessee’s largest employers including Ball Corporation, Bush Brothers, Meritor Automotive (formerly Rockwell International), Shelby Williams, Quaker Oats, Hunt Foods and International Paper. We’ve also worked for many international corporations with manufacturing operations in East Tennessee including Mahle, Inc. (Germany), ACOM Panasonic (Japan), Colortech, Inc. (Germany), and Lenzing Fibers Corp. (Austria). The Hale name has been synonymous with quality construction since 1979. It’s a name you can depend on.